For the first time in SNU history, the student body will have a say in the school’s presidential election, which will be held this year on May 10. 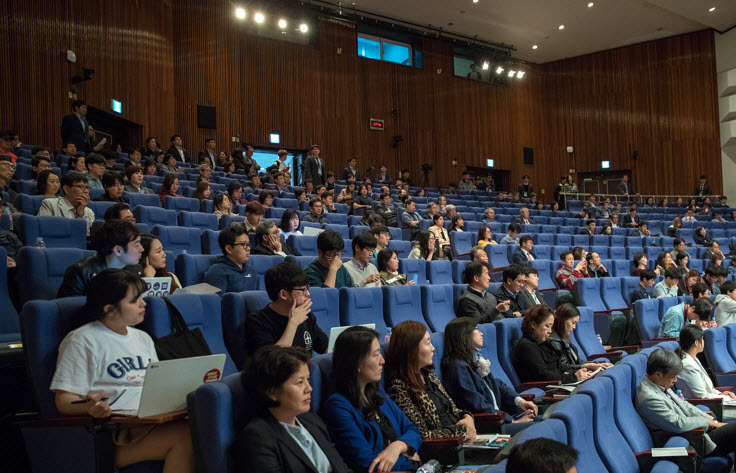 The student body, comprising 16,000 undergraduates and 12,000 graduates, will account for 9.5% of the voting process that will determine the recommendation for the appointment of the next SNU president. Voting, which will take place online, will require students to rate each of the five candidates in three categories: policies for education and research, vision and leadership, and international perspectives. The election process will take place in three parts: on May 3, the candidates presented their policies to the President Recommendation Committee, whose evaluation will weigh 25% in the determining the final ranking of the candidates. On May 10, a randomly selected group of 336 professors, 47 staff members, and 4 teaching staff from SNU affiliate institutions will attend the day-long Policy Evaluation Panel and evaluate the candidates. Combined with the results of the student vote, this Evaluation Panel will weigh 75% in determining the final ranking. On May 16, the SNU Board of Directors will select the 27th SNU president from among the top three candidates.